Quality salon and spa equipment is vital to run smoothly your business. Cosmetheque 26 years expertise in the beauty business and its unparalleled customer service placed us as as one of the finest one-stop-shop spa supplier in the country. We are constantly adding new equipment to our inventory, so call us to find out the latest available. We do the footwork so you do not have to. Purchase with confidence, knowing that your spa and salon equipment is guaranteed and backed with excellent customer support. We provide loaners for most our products and our repair service is quick with technicians on-site. Quality range of steamers, high frequency machines, suction and rotary brush apparatus, magnifying lamps, auxiliary furniture, stools, wax warmers, hot cabis, massage tables, facial chairs, microdermabrasion machines, pedicure chairs etc.. at very competitive prices. Join our list of satisfied customers and enjoy special discounts. At spasbest.com we are confident that you will be pleased with the spa and salon equipment you will purchase. Trusted skin care clinics have to rely on their skin care equipment in order to perform all kinds of beauty treatments and answer the increasing needs of their customers. Skin and body care treatments methods and techniques aim to achieve a flawless skin and require specific protocol; Beauty treatments are often applied with the help of esthetic equipment. 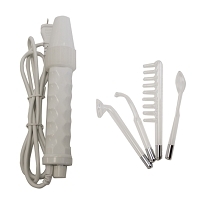 Draw attention to your spa and ease your esthetics work experience with the appropriate esthetician and spa tools. Offer clients that come to seek your help state of the art spasbest Aesthetic Apparatus. 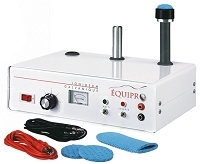 A sophisticated set of high frequency, steamer, galvanic current, vacuum-spray draws attention to your spa and reflects your professional skills. A nicely furnished beauty treatment room sets your spa and salon apart from the competition. 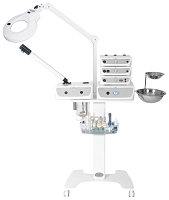 Esthetic Equipment is useful for face and body care as well. Craving for a nice set of skin care equipment? Help is on its way. Invest in esthetics equipment that is reliable and affordable. It will help you enhance your services and maintain results. Skin care equipment such as high frequency current help sanitize skin and increase absorbency and effectiveness of oil-based beauty products. Galvanic current is the best method to assist and increase the absorbency of active ingredients by the skin. Use galvanic current with aqueous serums and concentrates, and water-based beauty formulations. A metallic taste in the mouth during galvanic current treatment is to be expected, especially if the beauty treatment or facial is performed on people with teeth fillers. This taste will disappear the minute you switch off the galvanic current. Esthetic equipment save you time! Performing a facial steaming with a professional facial steamer instead of using wet warm towels prepares the skin much better for blackheads extraction and leaves the complexion with a glowing aura. Enhance all your facial treatments with high-tech affordable Skin Care Equipment. Research skin care equipment companies; check spas, salons and clinics offering full satisfaction to their customers. Look at who is offering high tech facials, deep cleansing basic facials, surface micro-dermabrasion, exfoliation, sophisticated massages, body wraps and more. 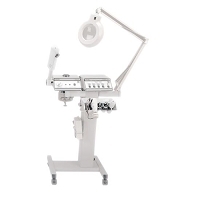 Chances are all these facilities are appointed with Esthetic equipment. 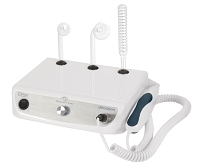 Therapists throughout the nation successfully use Esthetic Equipment since decades. Make sure the distribution company selling Skin Care Equipment can provide training if needed. Spasbest equipment is offered to spas and skin care salons and clinics. 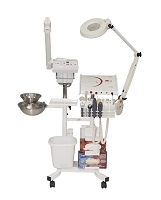 Spasbest esthetician equipment is for professionals and should not be confused with esthetic apparatus for home use. Only beauty technicians and spa specialists are qualified to use professional esthetic equipment. The Esthetician Equipment for skin care therapies has to include a reliable sturdy massage chair/bed. As a matter of fact, it is the basic equipment a good therapist researches first. Always prefer equipment used by professionals. A massage chair/bed can cost anywhere between $200- $4,000. It is an essential piece of equipment that should last for years! Someone could think it is expensive. But it is important to remember that the safety, well-being and good health of a person while under your care depends often of this basic piece of esthetic equipment! A non-confortable massage bed or facial chair can ruin the best massage or high performance cosmetic treatment. A massage bed or facial chair that is not at the suitable height can provoke excruciating pain in the back of the spa treatment provider and affect his/her good health.  A simple flat foldable massage table can be reasonably priced, but massage chairs that can turn into variety of positions are highly priced. Expensive beds have electronic control making it simple to use and luxurious for customers. Epidermal microdermabrasion is becoming one of the most common procedures performed by skin care professionals. Microdermabrasion machines will pretty soon likely be another essential Esthetician Equipment. 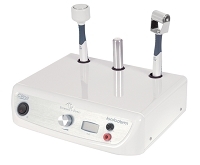 Esthetic micro-dermabrasion machines can go as high as up to $ 8,000. With their powerful engines they can handle more jobs in less time that means more profit for the skin care professional. Some of the expensive machines also boast multiple capabilities like combining diamond microdermabrasion, crystal microdermabrasion and oxygen infusion system. Skin scanner with black light is today a standard machine in skin care treatment centers: the scanner shows what is not visible with naked eye, and can clearly display what is to be removed. It also shows cleansed skin. With this equipment, the client can clearly see that something has been actually removed and feel confident about the treatment. Although this kind of apparatus can be expensive, investing in the right equipment is very significant for your business. Try Esthetician Equipment when you can and get the best equipment you can afford.